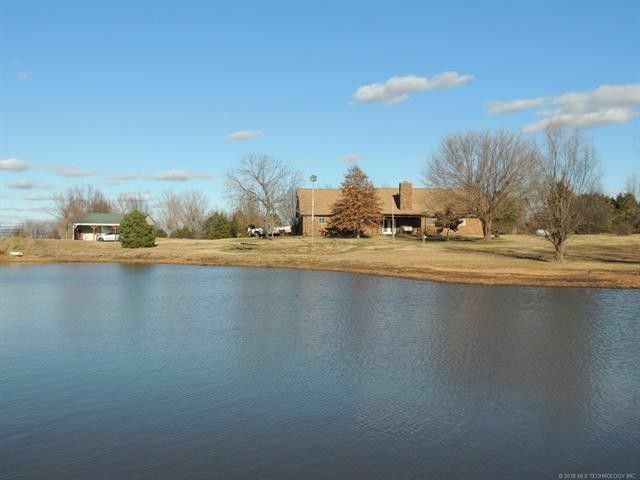 10 partially fenced Acres, pond, 30x30 shop, park-like setting & detached garage & ranch style home! Safe Room! Quiet Country Living. Horses & other animals allowed. Close to dining and entertainment. Garage converted to additional bedrooms. New Windows! Directions: From Hwy 75, go WEST on E. 86th St N. Go NORTH on Hwy 11, curves West, then North. Go WEST on 103rd St N. SOUTH/Left on N 36th W Ave, WEST/Right on W. 101st St. N. Then go SOUTH/Left on 38th W Ave.